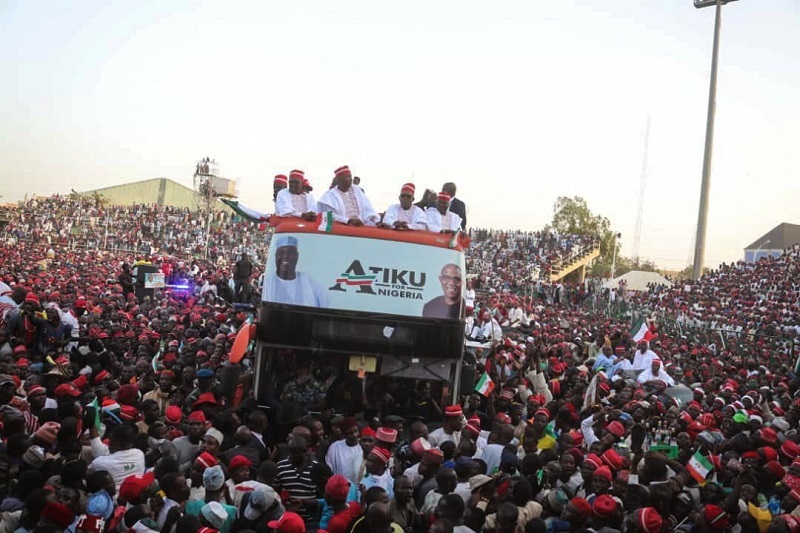 Mohammad Wakili, the new Commissioner of Police in Kano, has confirmed the arrest of 28 thugs in connection with the destruction of public property during the presidential campaign of the Peoples Democratic Party (PDP) in Kano on Sunday. Over the past 24 hours, Kano has witnessed an upsurge in violence as a result of an attack on the residence of Prince Abdullahi Abbas, the Chairman of the All Progressives Congress (APC) in Kano, and a reprisal attack on the house of Abba Kabiru Yusuf, the PDP governorship candidate. Addressing journalists on Monday at the Police Command, Wakili revealed that those arrested were found with dangerous weapons aimed at frustrating public peace during the PDP presidential campaign rally. He said the incident would be thoroughly investigated and prosecuted. Wakili, who just assumed duty after his deployment from Katsina, told journalists that the Police would not allow any person, regardless of personality or political affiliation, take laws into his or her hands. He said the Police would do everything humanly possible to ensure security of lives and properties, as well as peaceful elections in the state. He said: "Some people, yesterday, took laws into their hands during the campaign of one of the political parties, where property was destroyed. Let me make it abundantly clear; no such act will be allowed to happen again in Kano. "We would leave no stone unturned to bring sanity to Kano. Brandishing arms, weapons, thuggery during rallies and elections, are against our laws. A peace accord was signed by political parties and they must abide by it. When a life is lost, it is as if the entire humanity is at a loss, and we will not allow that to happen anymore before, during and after the elections.” Wakili stressed that the Force would not be partisan, but do its job with utmost neutrality.